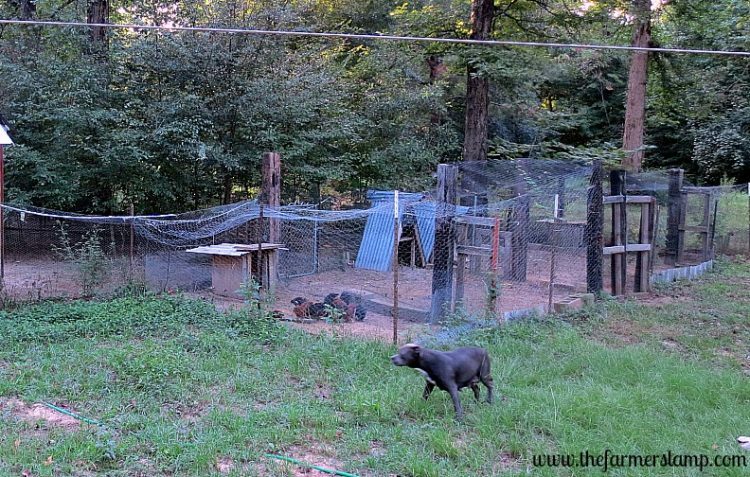 Can You Predator Proof Your Flock? 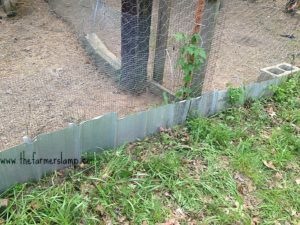 Can you make your chickens predator proof? Of course, the answer is Yes and No. As with most all other issues in life, the question of predator proofing is relative to the situation. 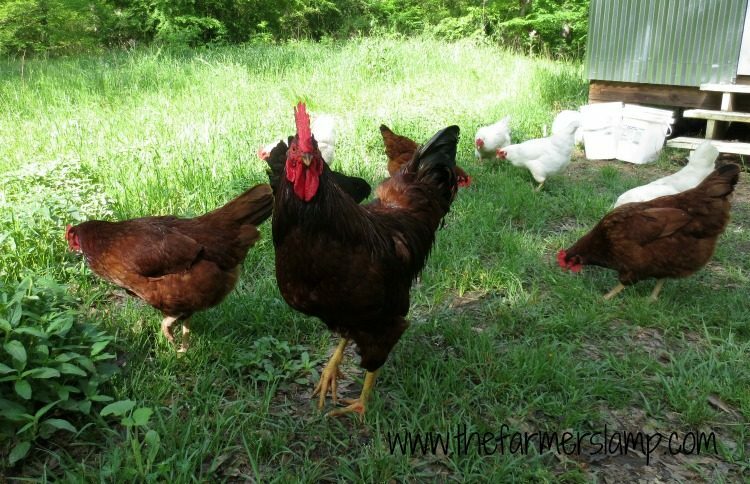 Protecting their flocks from predators is a top priority for most poultry keepers. If you’ve ever had the misfortune of having your flock attacked by some predator, then you know how devastating it can be. I’ve seen many people who have covered chicken runs in urban and suburban settings. Fenced in yards or some other kind of protective border is usually required. I have friends in Georgia who turned the last two stalls of their horse barn into the most amazing chicken yard. They included a closed in coop area, a screened porch area, and an outside covered run. It is amazingly functional and dare I say beautiful? Of course, depending on where you’re located, your list of predators will be smaller than your rural counterpart. 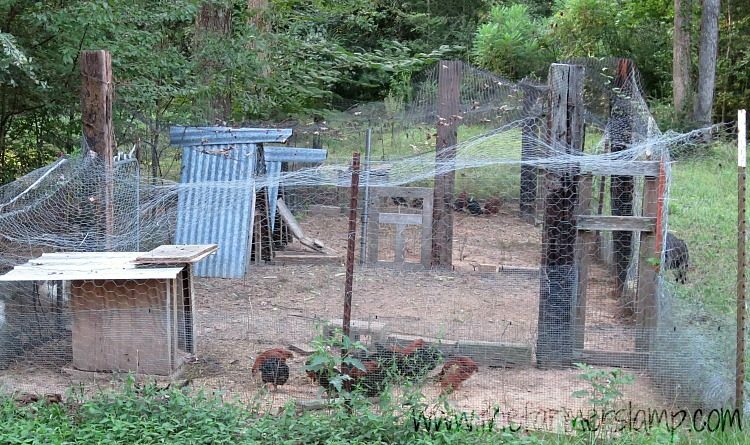 The challenges faced by each location of chicken keepers varies, but the desire to protect the flock is the same. The pleasures of keeping a flock is undeniably universal. In rural areas, we face larger threats to our flocks. 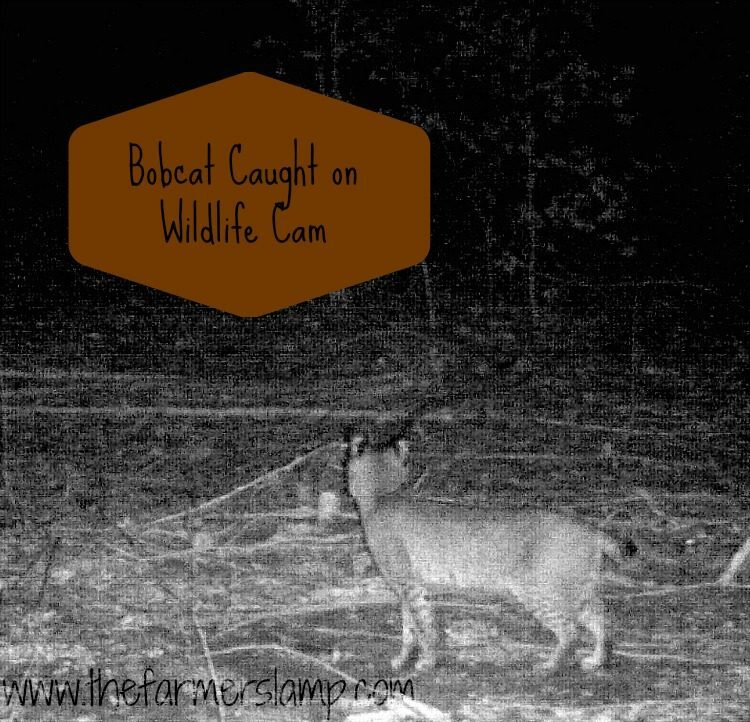 Here on our farm we have coyotes, skunks, raccoons, opossums, snakes, bobcats, fox, hawks, eagles, an occasional stray dog, panthers (no matter what Wildlife and Fisheries say), and wild hogs. We don’t confine our birds, they are free ranged most of the year. We offer protection to them in several ways. 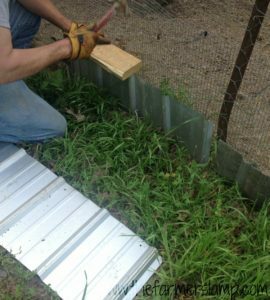 For the rooster yard, where we keep the rooster who is breeding or the “backup” guy, and the breeding coops/yards we provide multiple layers of protection. The yards are made with poultry wire all around, then we put rabbit wire inside that. We have also had to cut tin, tap it into the ground, and zip tie it to the wire to keep skunks from digging in. Over their yards we have wire and/or netting. Also, their respective gates have clip locks. Since they are in a confined area, they are more vulnerable since they have limited places to hide and run to. For the flock in general, there is an elevated coop so they can get under it to escape aerial predators and, of course, their coop is left open all day for protection and egg laying. 🙂 They also have a nice stand of trees left in their yard to hide under. 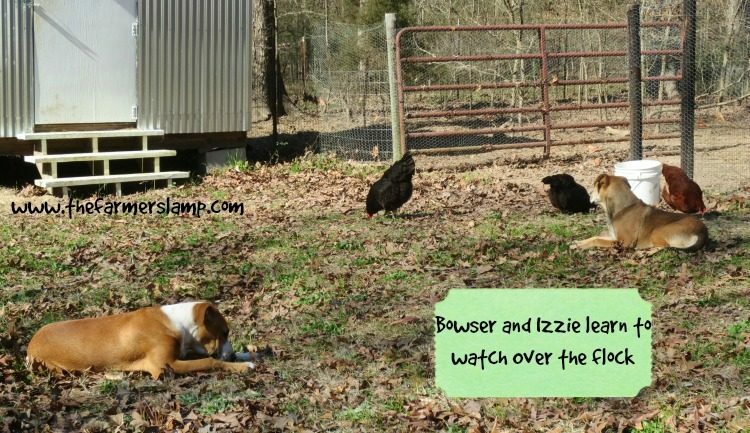 When they are free ranged, the dogs are on patrol and the rooster is always on the lookout for danger. We have a rooster, “Red”, who is extremely watchful and sounds the alarm at the least threat. He even responds to the cries of the hawk who is at a distance. You can see him trying to decide if the hawk is coming his way. There are brush, trees, buildings, and sheds they get under sometimes too. We have found that having livestock on the farm cuts down on our predator number too. When the land beside and behind us was clear cut, we had a sudden influx of predators, but they seemed to move on quickly. Several years ago, we had the chickens in the fruit orchard for clean up duty. I can’t remember the circumstance, but for some reason, we were away from the farm when it was time to shut the chicken coop (ours is portable as you can see in the photo). When I made it out there and did my head count, there were very few in the coop. I found some in the nearby trees and they could not be coaxed down. In the morning, I saw why. They had been invaded by the coyote pack. I lost over 15 birds that night and it was a struggle for several days to get them to trust me that the coop was safe and that I would shut them up on time. Lesson learned the hard way. Of course, the reality, for us and others like us, is that we will lose some birds to predators. With free ranging and the rural setting we farm in, it is inevitable. Keeping our losses as low as possible is what we strive for. We have not lost a bird to a predator in over 6 months. The last one we lost was to a hawk. Before that, it had been almost a year since we had experienced a loss of poultry life. For us, they are not pets or hobbies, they are part of our sustenance farming practice. They provide us with meat, eggs, and endless entertainment. For more on all kinds of information on your chickens, see our articles. Let me know if you need something you don’t find. I’ll do all I can to help you. What do you do to keep your flock safe? What restrictions do you have on you and your flock because of your location? What kind of predators do you have? I can’t imagine a coyote pack oh my goodness! I love the way you predator proofed your run. A rooster is always handy too! Last fall I gave my chickens away. The winters have become too much for me to have chickens. We live in the city and roosters are not allowed.. Dogs were always wagging their tails at my chickens, Chicken hawks would fly over head all day, and the lady down the block had a raccoon that got in to her coop and she was missing a few birds in the morning. Having chickens was both fun and educational. I do miss them. Vickie, Thanks so much for stopping by to comment. Our farm in in the coyote packs travel line while they roam their territory. They were so close a couple of weeks ago they made the hair stand up on the back of my neck. I rushed from the chores to the house as fast as I could go. 🙂 I know you do miss them. Some how they are addictive. We have a large enclosed run for our chickens and we have two roosters. Like you, we’ve had to do all kinds of things around the perimeter of the run to keep predators out. We have a lot of feral cats in our area, thanks to irresponsible neighbors. To keep hawks out, we tie fishing line from the fence to tree limbs diagonally across the run. We alternate the diagonal direction. The birds won’t fly between the line to get into the yard. Thanks for sharing your chicken yard with us!